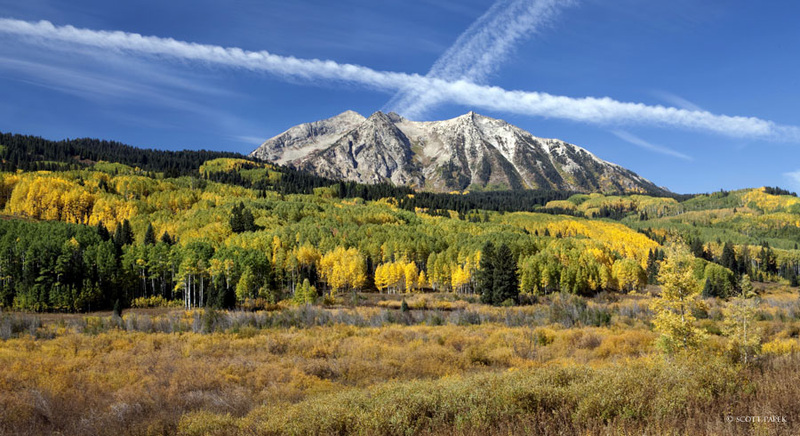 "Cross The Butte" was taken Ocotber 2012 outside of Crested Butte, Colorado. I was mesmerized with all the different colors and textures going on in this image. From the browns, the yellows, greens, blues and the criss cross white cloud. "Cross The Butte" is a limited edition of only 300 gallery prints and looks best on the aluma museum mount. Photo © copyright by Scott Papek.